← The Sports Archives – The Right Baseball Pitching Mechanics For Improved Pitching Velocity! The Sports Archives – Ever dreamt of owning the latest Yamaha MT09? As the self-proclaimed ‘Dark side of Japan’ the Yamaha MT09 is really making headlines in the world of sport bike design. Yamaha claim “With a compact new chassis and high-torque 3-cylinder engine, this new generation performance machine is designed for riders who appreciate character and soul”. The bike certainly has its own character and soul while still incorporating all the quality and reliability that you expect. I don’t really care what the bike represents, because after just a few short miles you will be blown away. Jon Urry even stated “To me the MT-09 represents the best bike to emerge from Japan in years – it is, quite simply, brilliant. And yes, brilliant as in Street Triple brilliant. Possibly even better”. A glowing recommendation indeed. 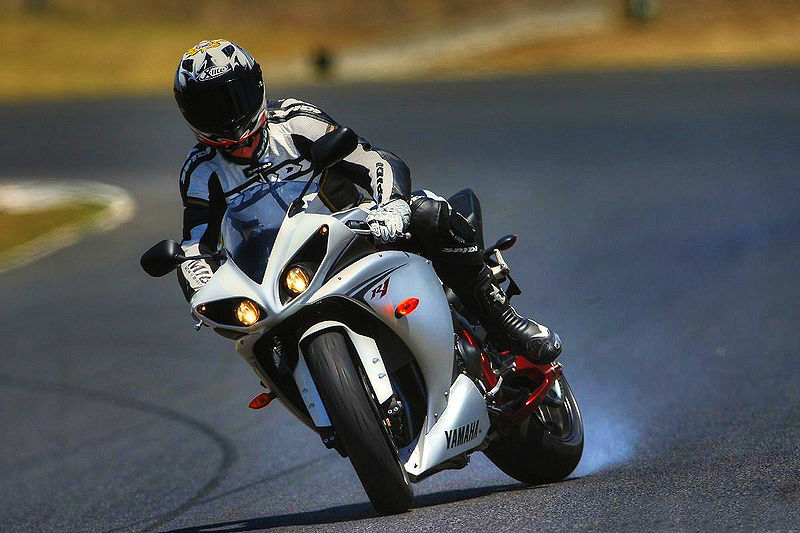 For a light and compact sports bike it still boasts an impressive 115hp from its 850cc 3–cylinder engine. There are also a number of other specs that would make any riders mouth water, including a slim and lightweight CF die-cast aluminium frame, Asymmetric CF die-cast aluminium swing arm, Monocross rear suspension with horizontal shock, Refined ergonomics “full-control” riding position, YCC-T and D-MODE electronic control systems and 298mm floating front discs radial-mount callipers. However the MT09’s strengths primarily lie within its striking appearance. Its dynamic new naked ‘motard-style’ bike comes with an aluminium chassis and upright riding position making it a work of art and ideal for all riding types. As if the bike could get anymore impressive new manufacturing techniques have resulted in a fuel tank with a more sculpted shape than previously achievable, keeping the tank narrow around the riders knees, whilst still carrying 14 litres of fuel, giving a useful 150 mile range. The MT-09 has a long seat – 400mm – giving a range of riding positions also. With prices starting around £6,799 this bike won’t be for everyone but with glowing reviews from industry leaders it is sure be to a popular choice. Have you ever dreamt of owning your own Yamaha motorbike but could simply never afford it? Well that dream could become reality thanks to the guys over at Motorcycle News. They are offering one lucky individual the chance to win a brand new Yamaha MT09. To be in with a chance to win it could not be easier. Simply head to their site and play their Motorcycle Mayhem game to be entered into the prize draw. There is also some pretty incredible prizes being given away each month including: VIP tickets to the British Grand Prix and magazine subscriptions. 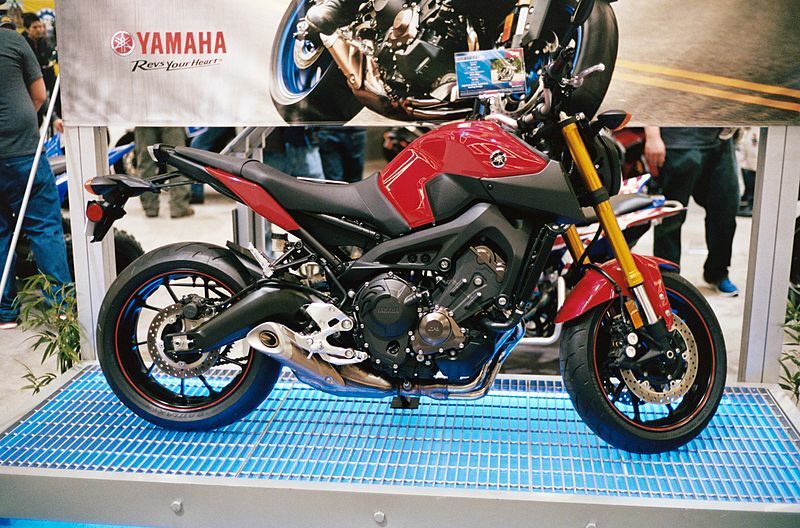 The Yamaha MT-09 is a light, powerful and lively machine which could be yours come October. All the terms and conditions can be found on their site and the competition ends September 30th so head over there now! The first of the MT series, the MT-01, was introduced as a concept all the way back in 1999 and looked nothing like any motorcycle before and not much has looked like it since. The MT-09, though, has caused a storm, and so it should. We should all care about bikes like this, they’re made for today’ needs, roads, extents of legally tolerable hedonism, and our ever more pressured pockets. And it’s unlikely to be alone in the model range. 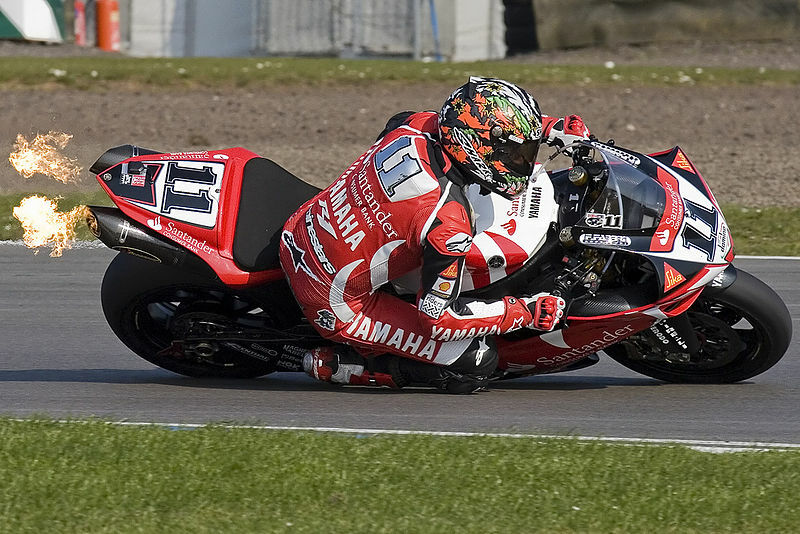 This entry was posted in Motorsports and tagged British Grand Prix, Jon Urry, motorbike, motorcycle blogs, motorcycle riding, motorsports blogs, MT series, Sports Archives, sports bike, Sports Blogs, Yamaha MT09. Bookmark the permalink.